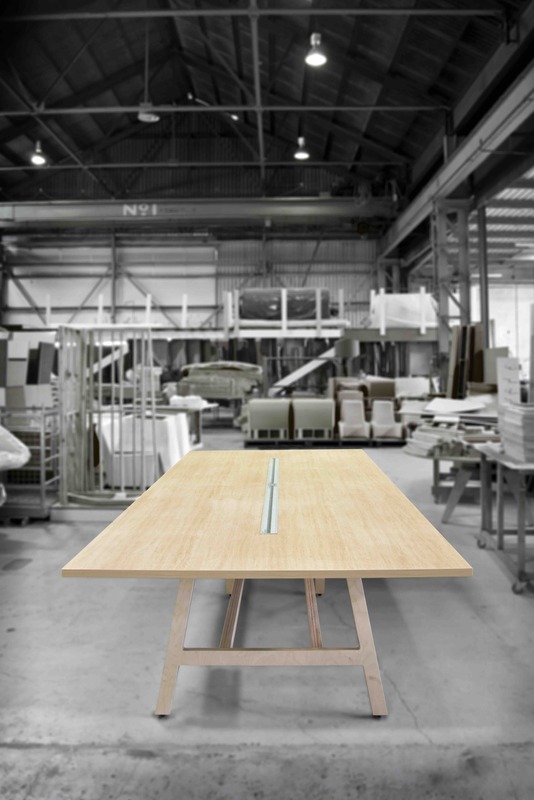 Butterfly is a versatile table system that comes knock down for the user to assemble onsite. 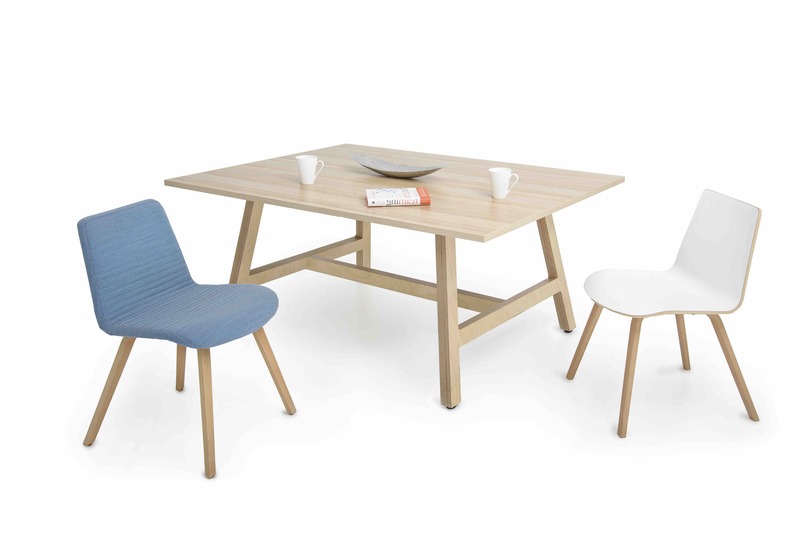 The key to Butterfly is in its use of plywood which adds a touch of detail to the base edging while minimising wastage by using plywood offcuts from larger tables for smaller tables. 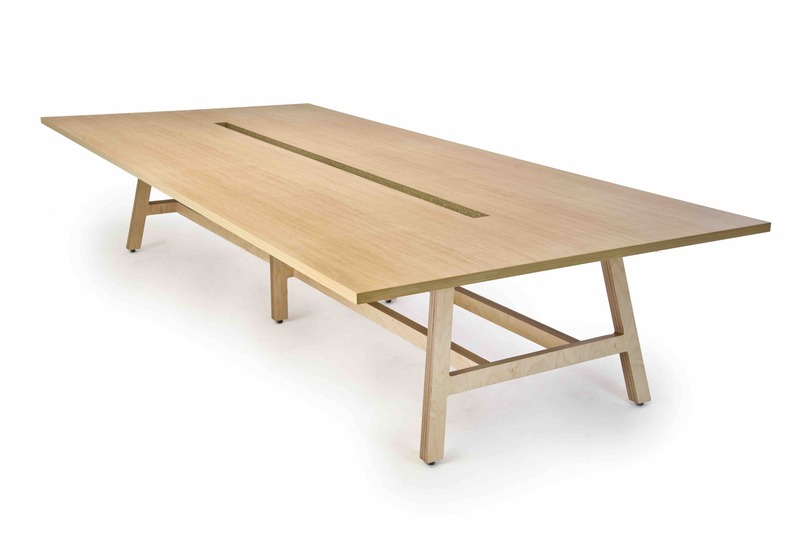 The knock down nature of the table means it can be reused and rejigged onsite. 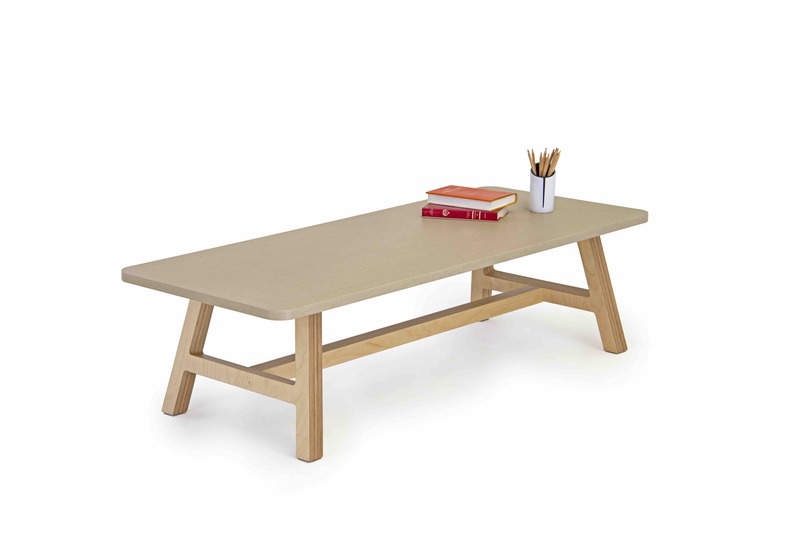 The table can be refinished and reused and reconfigured, or ultimately, recycled. 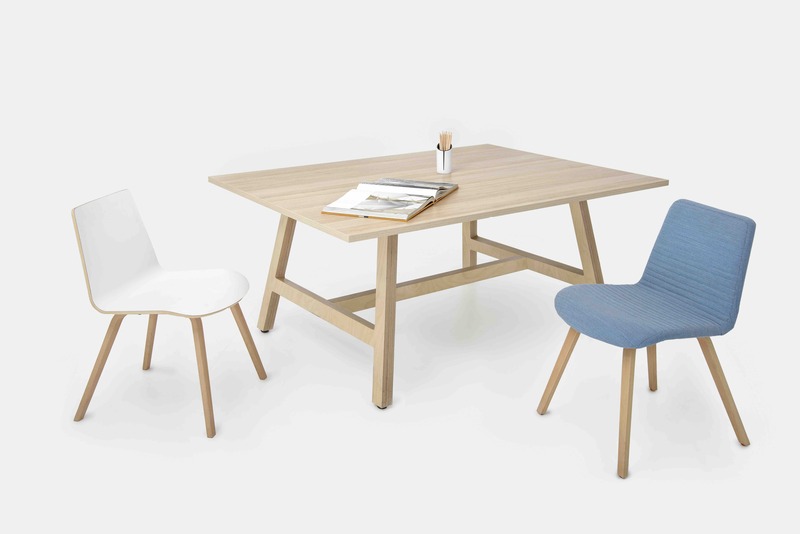 The Butterfly Table is versatile in size and height with its primary aesthetical and functional design feature based on the plywood texture of base. The base can be reused and rejigged for minor to major configuration changes adding further. 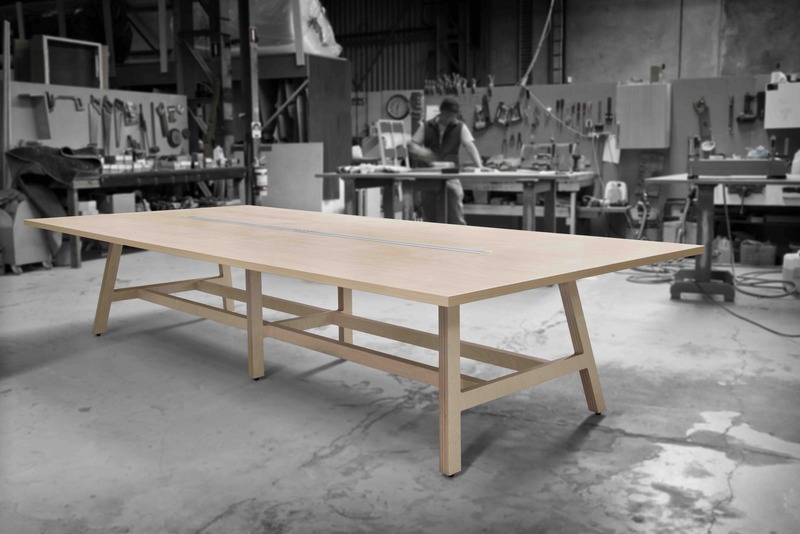 The frame is made of birch plywood and tops made in-house to ensure the best possible match with the entire table finished in a low-VOC clear coating. As a manufacturer, wastage was the main point of interest when developing Butterfly. The design of Butterfly further allowed it to be reused and modified for other configurations on-site with no effect on the planet. All components of Butterfly are recyclable/reusable and low impact with the birch ply 70% PEFC certified, variety of tops to match FSC Mix certified, glue water-based, low-VOC, recyclable metal screws, and finished in clear low-VOC coating. Local manufacturing and sourcing in an ISO 14001 factory combined with green materials has given oversight to ensure lower carbon footprint, reduction of waste, low emission of harmful VOC and longevity of sustainable suppliers. Certified timber is not just essential to the project but overall design and company goals as an ISO 14001 company using zero to low impact materials in all products. The use of Australian certified timber complemented many other of Butterfly’s sustainable design features such as minimising wastage by using offcuts, easy to build and modify on-site without powered tools, efficient use of shipping space and low impact non-timber materials.